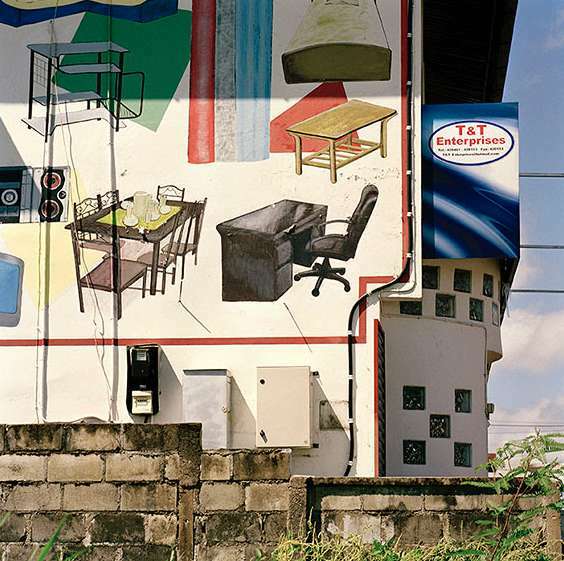 This spring, the Surinaams Museum in Paramaribo presents work by Jacquie Maria Wessels. In the exhibition Cityscapes + Birdmen photo’s of city scenes in Paramaribo alternate with portraits of birdmen, creating a layered image of Suriname’s culture and society. Birdmen | Between 2006 and 2009 Jacquie Maria Wessels made portraits of macho Surinamese men who are obsessed with their little songbirds. In the songbird contests, one of the most popular sports in Suriname, men from all segments of the population come together amiably, in peaceful combat over which bird sings the best. Stereotypical male attributes such as clothing, cars and motorcycles play an important role in this lifestyle but in the photographs by Wessels the men also reveal another side of themselves. After the independence of Suriname in 1975 this pastime came to The Netherlands along with the Surinamers. Both in Suriname and in The Netherlands, the contests are held very early on Sunday mornings: in Paramaribo on Independence Square and in The Netherlands on lawns in parks in Amsterdam, The Hague and other cities.